Enhance the professional appearance of your home or business with Adriana's St Louis based Cleaning Services. Please request a free cleaning estimate or, for more information on our customized office cleaning services, call us at 314.443-0336. What kind of house cleaning guarantee do you offer? We think our services will not only meet but exceed your expectations but we also know that when dealing with many different people, we cannot make everyone happy. If we clean your home and you are not 100% satisfied, please make us aware and we will discuss the situation and if needed, return to your home to re-clean the area free of charge. For One Time and Move-In/Out Cleanings, we may need to charge additionally if we send the crew back out to clean more areas of your home. We have found that it is not always accurate to give you a quote over the phone. We can give you an estimate, but for Regular Maintenance Cleaning in St Louis, we do need to give you an in-home quote for an exact price. Our in-home quotes are offered free of charge. This allows you to show us exactly what is important to you and what areas you want cleaned. First time cleanings are usually priced a little higher depending on the current condition of your home – we use this first time cleaning to get rid of all the “old” dirt and dust. One Time and Move-In/Out Cleanings are billed hourly and our office staff can give you an estimate based on the size and condition of your home when setting up the cleaning appointment. What hours do you clean? Can I choose the day of my cleaning? We clean between the hours of 7:00 a.m. to 5:00 p.m Monday - Friday. We do have some employees who will clean on evenings and weekends for special requests. We try our best to accommodate your preference in days. We do not promise or guarantee a cleaning time on your specific cleaning day. Since we do not set cleaning time limits, and because some clients may request additional services (such as refrigerator or oven cleaning), or a client may lock us out or cancel unexpectedly, it’s just not possible to give specific cleaning times. If you prefer a morning or afternoon cleaning, please let us know when scheduling your service. If you ever need a more specific time, call the office the morning of your cleaning and we can give you an expected window of when the cleaning team would arrive to your home. We provide all the products and supplies needed to clean your home. We pride ourselves in using the most technologically advanced cleaning supplies and equipment. Should you wish to have us use your own special cleaning products, we will accomodate your needs. No. You may cancel service at any time. Two business days notice are required for any cancellations or change to currently scheduled cleanings. 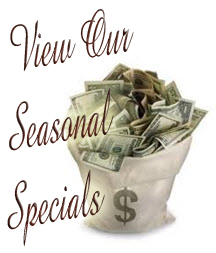 Notice of any cancelation or change to your cleaning schedule must be made by calling us directly @ 314.494.8390. Never provide a note or tell the cleaning staff about changes to your cleaning schedule. They have a number of jobs each day and may forget to notify the office. 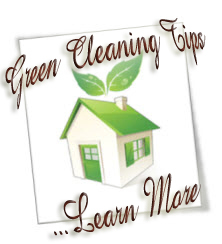 It is the client’s responsibility to notify us directly of any changes to cleaning services. Adriana's Cleaning Service also reserves the right to cancel your service at any time. Can I use you only occasionally? Absolutely. Most of our business is based on regular cleanings (weekly or bi-weekly) but if you need us to clean-up before or after a party, need a spring cleaning or are moving to or from a home and need us to clean it for you, that is no problem. Try us once as a fill-in—we’re confident you’ll love us! We make every effort to send the same team to your home for every cleaning. When one or both of your cleaning professionals is ill, on vacation or has a day off we make every effort to send one of the professionals from your team with a substitute. If we need to send a substitute team, a quality assurance check will also be performed on your home for that cleaning. Copyright 2011 Adriana's Cleaning Services: Frequently Asked Questions About House Cleaning All Rights Reserved.